The story of an identical twin, possessed by the soul of his murdered brother, on a mission to see his killer brought to justice doesn’t exactly sound like the premise of a musical comedy. 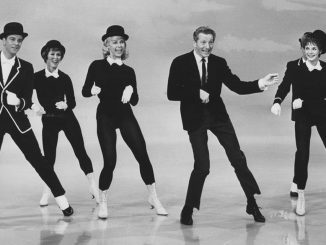 But throw in some splashy production numbers, and a very young Danny Kaye, the beautiful Virigina Mayo, dancing queen Vera-Ellen, and of course The Goldwyn Girls, wrap it all up in a Technicolor bow, and … voila! 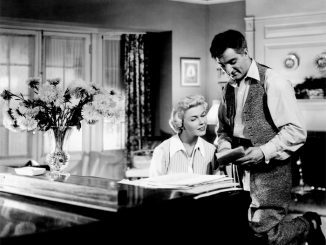 Sam Goldwyn’s Wonder Man: one of the most delightful comedies you’ve probably never seen. This shockingly underrated 1945 screwball comedy is a whizbang (and I really did try not to use this next word) wonder of a film that has finally been given its due in a new release from the Warner Archive as part of its Danny Kaye Collection. The inimitable Wade Sheeler here at The Black Maria has already reviewed one half of the Danny Kaye films that Warner has released in conjunction with Kaye’s centenary (although, the officialness of said centenary is in question thanks to Kaye’s daughter Dena) and I’ll be bringing up the rear with the remaining three Kaye classics enjoying a DVD release for the very first time. And we’re starting with, not only my favorite Kaye film, but a stellar comedic gem that deserves some serious attention. So here’s the lowdown. Edwin Dingle (Danny Kaye) is a mild-mannered milquetoast of a writer who spends long hours in the public library and, as a result, has a terrific mind and, more to the point, a terrific yen for its squeaky-clean librarian (the jaw-dropping Virginia Mayo). He also happens to be the identical twin (sorry, make that “super-identical” twin) to the outrageous, slick-tongued nightclub sensation Buster Dingle, aka “Buzzy Bellew” (Also Kaye, in his first of many dual-roles) who has a yen of his own: dancing doll Midge Mallone (Vera-Ellen, in her screen debut). The story takes off when Buster, most unfortunately, witnesses to a murder by notorious mobster “Ten Grand Jackson” and has been supboepned by the District Attorney to testify. He has every intention to take the stand. Ten Grand has other plans–namely, sending him to the bottom of a lake. After Buster is surreptitiously bumped off in Brooklyn’s Prospect Park, docile Edwin starts getting supernatural calling cards from his slain sibling. And that’s where the real fun begins. The showbiz savvy Buster forces the reserved Edwin to assume his identity back at the nightclub by possessing his body– which results, of course, in the the proverbial tangled web we weave. Kaye single-handedly saves tha day…and destroys the Opera. As is the case with screwball comedies, the storyline spirals out of control until the hero is thrust into outrageous situations you absolutely have to see to believe. (Two words: potato salad.) The madcap storyline, however, is anchored with its snappy writing, solid performances, and good old fashioned chemistry. This is Kaye’s second film, following the successful Up in Arms, and is a flawless sophomore effort that absolutely worked to solidify him as a lasting industry talent. It also marks the first pairing of Kaye and Mayo, who would become one of the most popular on-screen couples of all time. Kaye is given ample opportunity to display his wildly versatile, tongue-twisting talents in a number of…uh…numbers, the material courtesy of his songstress wife Sylvia Fine. Mayo is fresh from her role in the winsome Bob Hope comedy The Princess and the Pirate and is nothing but soft-focused splendor. (The Sultan of Morocco once said that her beauty was proof of the existence of God. You’ll find no argument from me.) 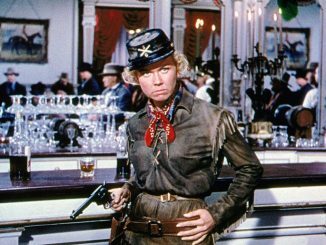 But the film also marks Vera-Ellen’s feature film debut, which in itself is reason enough to watch. Ellen’s sensational dancing talents are well showcased in eye popping, Technicolor sequences that have long been in need of a high-quality digital transfer– which the Warner Archive now thankfully provides. Charming, hilarious, and wonderfully imaginative, Wonder Man embodies what Kaye movies are all about: sheer, unadulterated, glorious fun. A splendid time here is most definitely guaranteed for all. All the superlatives you used to describe this film are so true. One of my all-time favourites. Certainly a favourite among Danny Kaye’s films.